The National Shooting Sports Foundation (NSSF) SHOT Show 2016 is just two short weeks away, and the GunLink team will be there from the opening shots of the pre-show Industry Day at the Range until after the show ends to bring you complete coverage of the latest and greatest guns, gear, and more that is coming soon in the shooting, hunting, and outdoor fields. 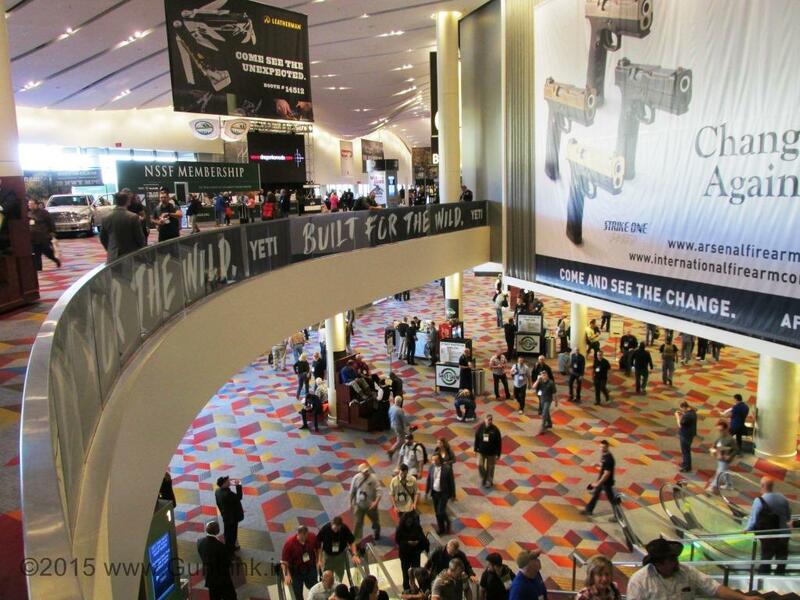 Watch the GunLink Blog for detailed coverage of SHOT Show 2016 and participate by joining the discussion in the NSSF SHOT Show boards on the GunLink Forums. For more frequent up-to-the-minute updates throughout the show, be sure to follow GunLink on Facebook, Twitter, and Instagram. The 38th annual Shooting, Hunting, and Outdoor Trade Show – SHOT Show – runs from Tuesday, January 19 through Friday, January 22 at the Sands Expo Center in Las Vegas. This is the largest show of its kind, drawing tens of thousands of attendees. The 2015 show drew approximately 64,000 attendees – second only to the 2014 show’s 67,000. The heart of the show that brings such a massive crowd? The 1,600 exhibitors who cover more than 13 acres of exhibit space to showcase their wares. At Industry Day at the Range on January 18 in Boulder City, we will have the opportunity to visit with manufacturers and see the latest firearms in action with some live-fire trigger time – which is always a “blast”. Featuring over 170 manufacturers exhibiting, and over 500,000 rounds of ammunition shot, Industry Day is the premier shooting event in the industry, giving outdoor media and buyers the opportunity to shoot and test new products for the upcoming year. This year’s exhibiting companies include firearms, ATV and truck demos, knife throwing, archery and more. For those of you lucky enough to be going to the SHOT Show to see it for yourself, there are a number of tools to make your visit easier. Plan meet-ups, talk about what you’ve seen, get pointers, and more in the SHOT Show thread on the GunLink forums. Find exhibitors, schedule meetings with vendors, take notes, and plan your show with SHOT Show mobile, available as an app for Android and iOS devices and as a mobile site for Windows and Blackberry devices. This will, no doubt, make it easier to navigate the 630,000 square feet and 12.5 miles of aisles on the show floor! Of course, all of this great coverage of the best new products that shooters care about wouldn’t be possible without our valuable partners. 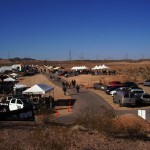 Brownells, and Pete Brownell in particular, has been among the earliest and biggest supporters of new media in the firearms industry – going so far as to host the New Media Meetup Lunch at previous SHOT Shows – in addition to offering an enormous selection of firearm parts and accessories. Brownells has been Serious About Firearms for over 75 years – since 1939! If you are seeking information about the latest and greatest advancements in the firearms industry, then chances are that you are an ardent supporter of our Second Amendment Right to Keep and Bear Arms. What better way to make sure that those advancements continue by protecting that market and helping to ensure that we keep those rights strong than joining the National Rifle Association – one of the oldest and largest civil rights organizations in the United States. Northwood Components offers a full line of aftermarket triggers that can turn an ordinary KelTec pistol into a sweet shooting little carry gun. The machined aluminum triggers virtually eliminate finger pinch and provide a lighter perceived trigger pull although the actual trigger pull weight and safety of the firearm are not effected. Pops’s trigger upgrade has been featured on the GunLink Blog and in our P11 Improvement Project. Concealed carry and open carry practitioners from all over the United States, and gun owners in general, will find the Gun Laws by State guide invaluable. The guide, written by a prominent gun law author and nationally recognized gun law attorney, covers reciprocity, constitutional & federal law, use of force, civil & criminal liability, preemption, and more in its 360 pages, which include over 1,000 updates for 2016. Not a CCW permit holder yet? If the time requirements of the class are holding you back, The Carry Academy has the solution: take your CCW class online in under an hour for less than $50 to satisfy the training requirements needed in order to obtain your concealed carry permit in over 20 states. The majority of these states allow you to carry a concealed weapon by obtaining a Virginia nonresident permit. The course also satisfies training requirements for resident permits in Iowa, Oregon and Virginia. If your 2016 New Years resolutions include being more prepared for natural or man-made disasters, you can hope for the best but prepare for the worst with shelf-stable food from Wise Food Storage. Great tasting meals with the ease of just-add-water, the peace of mind of 25-year shelf life, and the pride of being Made in the USA.